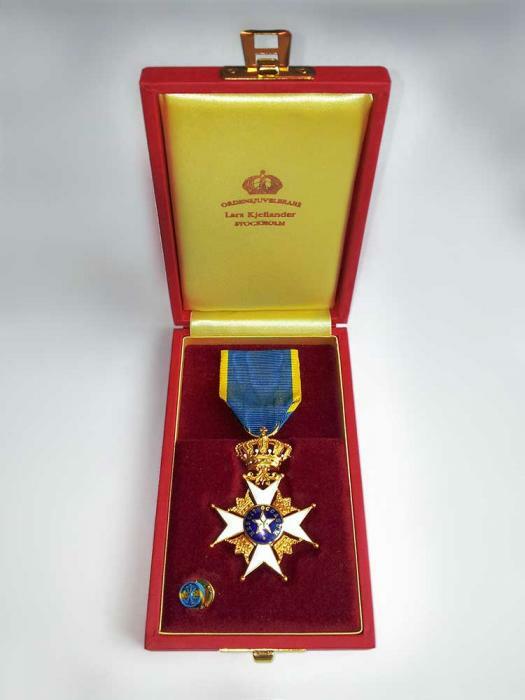 UPB holding Chairman of the Board Uldis Pīlēns was awarded the highest award of the Kingdom of Sweden – Knight 1st Class grade Royal Order of the Polar Star, by Swedens King Carl XVI Gustaf during his visit in Latvia. In general, during the Swedish Royal couple visit, six Latvian entrepreneurs from bank sector, telecommunication, logging, construction and manufacturing industry were rewarded the highest award of the Kingdom of Sweden. High - class award was also granted to Juris Binde, President of "Latvijas Mobilais telefons” ltd, Juris Gulbis, Chairman of the Board of „Lattelecom” ltd, Māris Mančinskis, Chairman of the Board of JSC "Swedbank Latvija", Ainārs Ozols, Chairman of the Board of JSC "SEB banka" and Juris Biķis, a long-time leader of JSC "Latvijas Finieris". The Order to Latvian entrepreneurs was granted as an acknowledgment for their contribution promoting Swedish and Latvian mutual cooperation in national economy and economic sector.